24hr Long Lasting: No need to re-apply. Oil Free: Extra mattifying Action. Non-Cakey and Drying Effect: Smooth texture that blends with skin. Waterproof and Heatproof: Resists humidity and heat all day. Ingredients: A unique composition with different minerals essential for skin health: Aqua, Dimethicone, Isododecane, Nylon-12 , Silica, Butylene Glycol ,Peg-10 Dimethicone, Isohexadecane, Isononyl Isononanoate, Pentylene Glycol,Synthetic Fluorphlogopite, Magnesium Sulfate, Phenoxyethanol, Caprylyl Glycol, Acrylates Copolymer, Disodium Stearoyl Glutamate, Disteardimonium Hectorite, Calcium Gluconate, Perlite, Aluminum Hydroxide etc. How To Apply Use fingers or your favorite makeup brush. 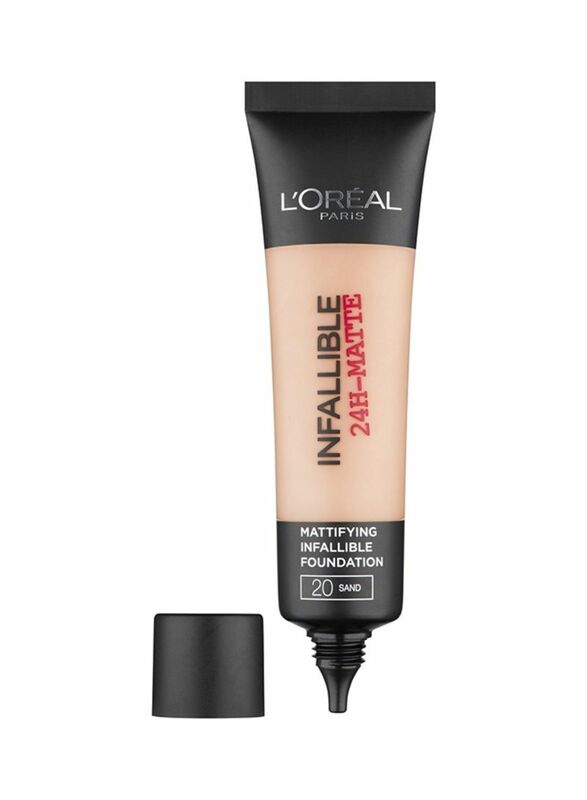 For best results apply small dots of infallible priming base on bare skin across cheeks, nose and forehead. 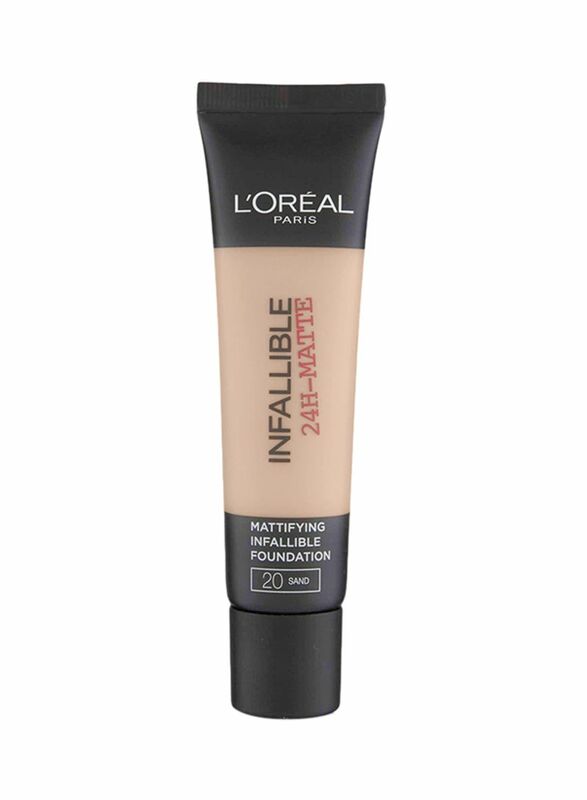 Once dry apply infallible 24hr matte foundation. Start at the centre of your face, and in a rolling motion work your way outwards.